As the band themselves said about "March Of The Damned", "Our passion for heavy metal has never diminished, and this track sounds off with real conviction!" Listen to the new song below. Redeemer Of Souls will be made available from Epic Records on Tuesday, July 15th, 2014, as both a standard version and a deluxe edition with five bonus tracks. When asked what fans can expect from PRIEST's 17th album overall, guitarist Glenn Tipton replied, "Sometimes in the past we may have come under fire for being too adventurous musically - so we have listened!! 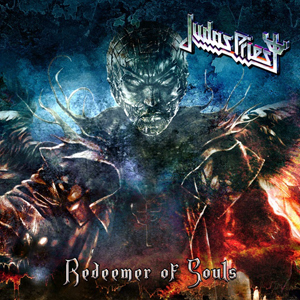 From start to finish Redeemer Of Souls is 13 songs of pure classic PRIEST metal!!"